Sorry for the stream of consciousness, but I’ve had a busy few days of sewing activity, but in more disjointed areas than any one common goal. 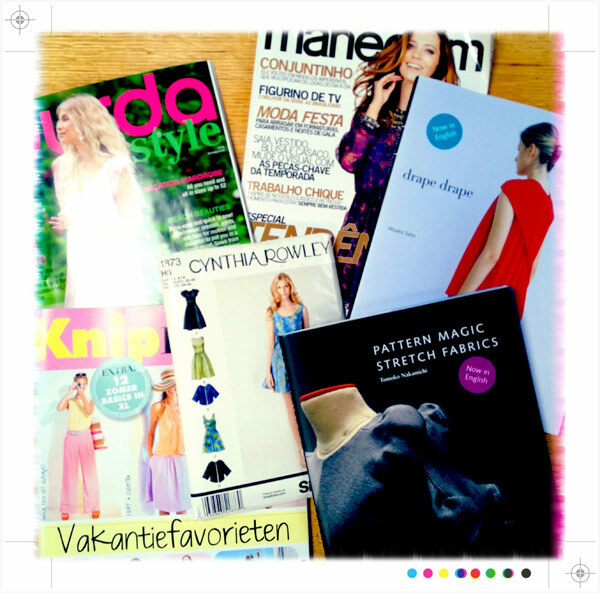 The June editions of Burda & KnipMode arrived on the same day and made for a nice comparison. I loooooooved the May Burda, but the June one is way too summery for me, and I’m not really feeling it. I’ll review the KnipMode shortly, as soon as I can get the scanner going. I almost feel like I should start doing Burda magazine reviews since their online previews are getting more and more cumbersome to use, now that they’re eliminating the French site, the German does is a total PITA to view on mobile devices, and the English site only gets a third of the patterns a month after everyone else. 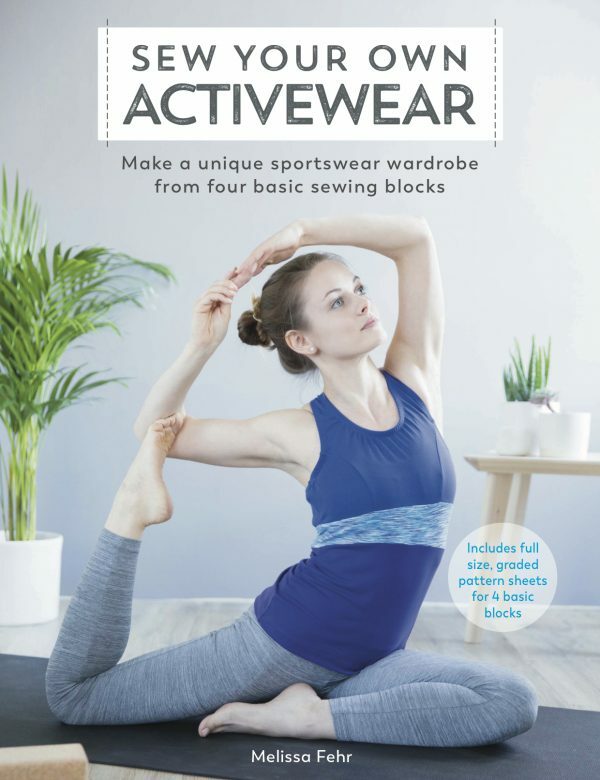 But then again, so many other bloggers already do this so I don’t want to create a “New Vogue effect” where every sewing blog suddenly shows the same five pictures all at once. What do you think? Is Burda niche enough that you want to see my picks like I do for Manequim and (soon to be much less frequently) KnipMode? Also at the same time, my KnipMode renewal notice came through. I don’t want to renew, but I want to make sure I don’t need to do anything in order to cancel (ie: I don’t want it to renew me automatically). Could I pretty please send an image of the latter to a Dutch speaker just to confirm what I need to do? (Volunteers, please leave a comment) I don’t need a full translation, just someone to tell me whether I need to formally cancel or not. My copy of Pattern Magic 3 (in English) also finally arrived, after the first copy got lost in the post from Amazon! There are some Must Sews in there (including one I’ve started drafting already) but also some hi-LAR-ious things in there. A review will be coming soon for this, too. On Saturday, after my long run with friends, I made some new pants (underwear). As per usual, I used my TNT thong pattern, which originally came from a KnipMode magazine from 2007 or 2008. Well, I say I made them, but really I just finished the elastic. 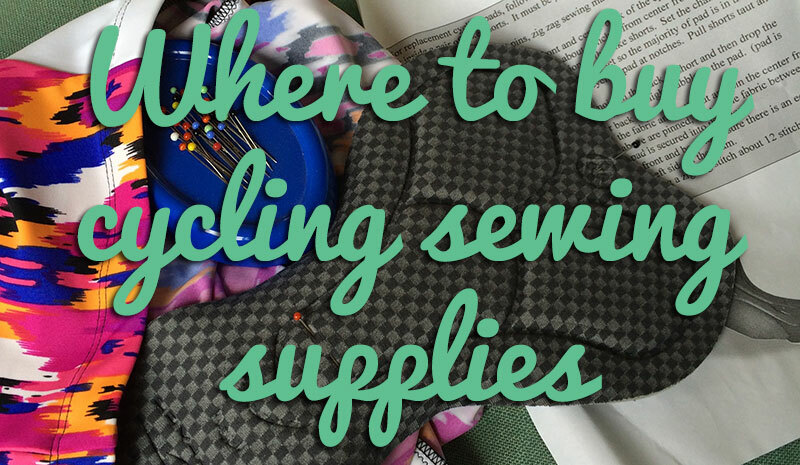 In general, I tend to cut out and serge a whole bunch of pants at the same time, then pull out a pair or two at a time when I want a quick project I can complete in an hour or so. Because I can attach the elastic with just a sewing machine (even my travel machine does zig-zag and triple zig-zag stitches!). For this pair I used picot edged lingerie elastic around the legs and FOE on the top edge. I’d forgotten that I’d used scrap bamboo jersey for the crotch lining of these, but I think it’s a nice touch (even in an un-matching colour) so I thanked Former Me, too. A note on the fabric, though – how weird is the camo + flowers combo?? This came as a scrap in a grab bag from Sewing Chest ages ago, and it coordinated nicely with my dusty pink jersey from my stash (Remember the rose & lace tee), so I used it here. 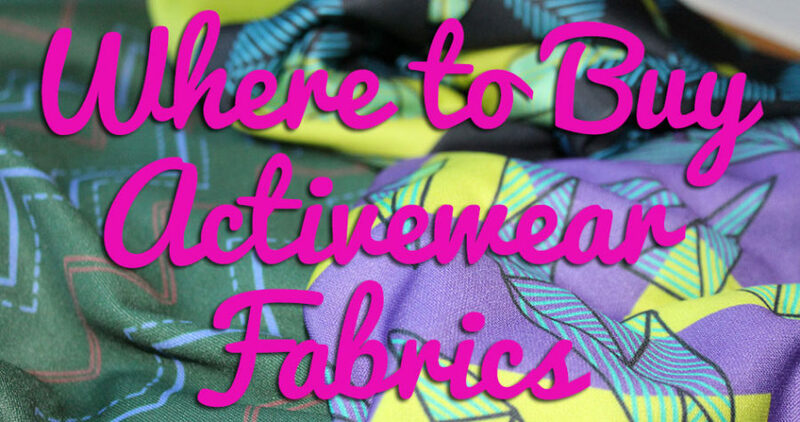 If you can’t wear weird prints in your underwear, where can you? With a bit of luck, I’ll be reunited with home and my sewing room by the weekend, though I’ve got some serious bunting sewing to do before the Diamond Jubilee flotilla on 3 June. As we’re moored along the stretch of Thames where the flotilla takes place, we’ll receive an official flag for “taking part” but we’re also encouraged to dress up our boats for Her Medge and all the other hundreds of boats. At least the ~22m of bunting we’ve got planned should use up my scrap stash nicely! Yesterday I arrived at work to find a beautiful pink parcel waiting for me from Kollabora! I’d been helping them out with some beta testing of the new sewing, knitting, and jewellery site and they said thanks with a Project kit of my choice. 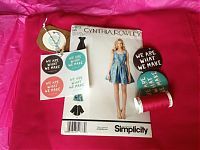 I don’t often sew with Simplicity so I decided to do something different and selected this Cynthia Rowley dress pattern and some gorgeous fuschia cotton sateen from Mood. Nothing says party like a hot pink party dress! 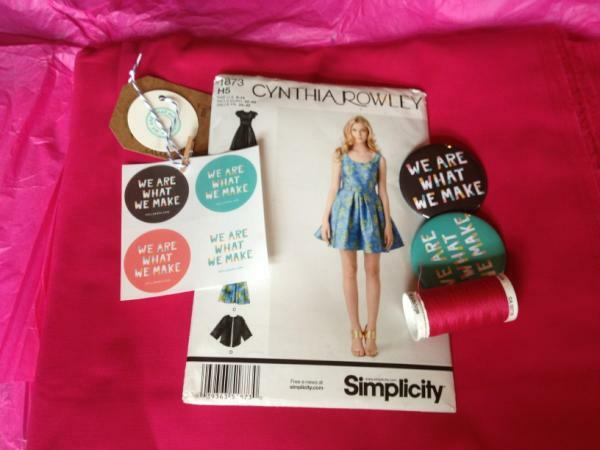 How much do I love the “We are what we make” stickers and badges?!?!? Awesome motto, guys! Separator image Posted in In Progress and tagged with lingerie, magazine, reflections.